H.L. Reasby is a 30-something writer who resides in the beautiful (and rainy) Pacific Northwest. She lives there with her beloved husband, two deranged cats, and two crazed dogs. 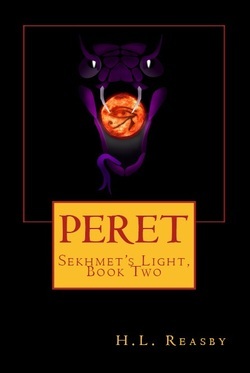 Her first novel, “Akhet” is available for purchase through all major retailers, and she is currently working on the second installment of the Sekhmet’s Light Trilogy, “Peret”. Reading and writing (of course) top the list of personal interests, but ‘Fatale’ also enjoys movies, gaming (roleplaying games being her favorite), and spending time with friends.